Blog » Gold Choice - does the groom get a car? How is the groom getting to his wedding? This is a question we always ask a bride organising a beautiful Beauford or Rolls-Royce for herself. The answer to this is often a shocking - "I don't know. I never thought about him." So, brides - let me ask you another question. How is the Mother of the Groom getting to her son's wedding? Oops, you didn't forget her too, did you? It is the bride's day but taking the time to make the rest of the bridal party feel special will make you a star. And the memory - good or bad - of how you treated them will stay with your in-laws for the rest of your marriage. So - let me ask again- How is the groom getting to his wedding? Traditionally, a third wedding car collected the Groom, his Best Man and his parents and took them to the ceremony. After the ceremony, the third wedding car took both sets of parents to the reception. 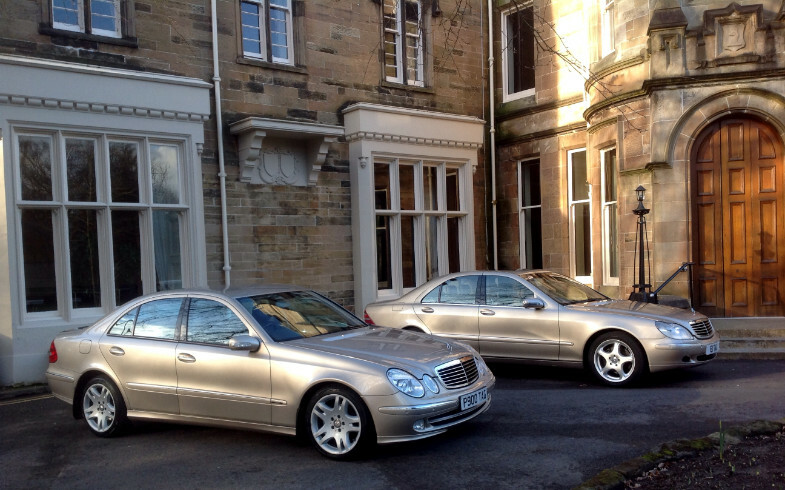 Check out these 4 seat Mercedes saloons. Could one of these be the answer to how your groom is getting to his wedding?